The highly anticipated second mini-budget or the third finance bill for the current fiscal year (whatever you may like to call it) has, at last, been revealed. 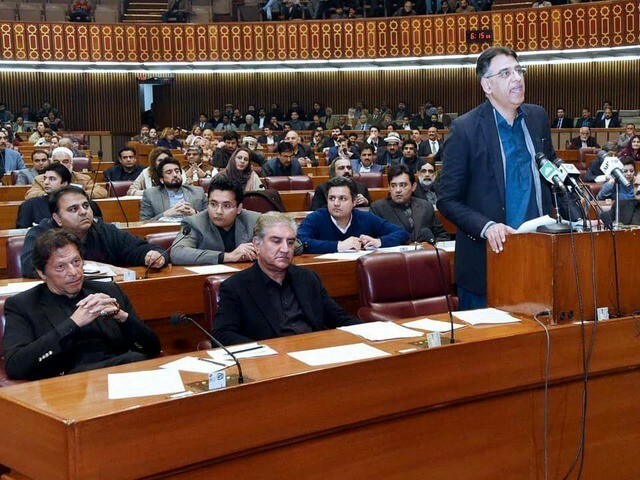 Finance Minister Asad Umar, feeling the heat from all ‘concerned’ quarters, made an attempt to appease by announcing tax concessions to the banking sector and the business community at large. On paper, the bill looks acceptable, as it is aimed at restoring the confidence of the business sector in the economy. Abolishing the withholding tax, abolishing the super tax on the non-banking sector, continuing the 1% reduction per annum in corporate income tax, allowing capital loss in stock trading to be carried over for three years, and introducing a pilot scheme in Islamabad, are all good steps taken to boost the confidence of investors. Encouraging small and medium enterprises (SMEs) and reducing the tax on small marriage halls can also be seen as steps in the right direction. The bill has many other features that must be appreciated, such as waiving withholding tax on banking transactions for tax filers and stock exchange trading, abolishing the duty on the print industry and allowing small businesses to not to submit withholding tax every two months. These small steps will surely help the Pakistan Tehreek-e-Insaf (PTI) government in gaining support and sympathy among the traders and business community. However, the mini-budget does not offer any immediate relief to the lower middle class and poor masses that constitute a major chunk of the population of the country. Instead, the finance minister once again decided to focus on rhetoric and lofty claims. While he was criticising previous governments for their lacklustre economic performance, he conveniently forgot to add that since the formation of the PTI government, the stock exchange has reached a new low and the devaluation of currency has resulted in a massive price hike and inflation. It is the PTI government that remains responsible for this problem, as our ‘genius’ finance minister wanted to experiment on whether or not our exports would increase with the abrupt currency devaluation. While the experiment has failed completely, its impact has been horrific upon the middle and lower middle classes. For instance, the increase in the price of medicines has virtually taken basic necessities out of the reach of the common people. Similarly, the increasing cost of utilities such as gas and electricity has only made life harder, and this is happening during the tenure of the PTI, not the former government. And yet, all our finance minister is willing to offer the masses is the same old blame game. The support proposed through this mini-budget can be termed as good for businesses and investors, but it is surely not enough to turn the table around and bring any form of relief to the common people’s misery. The decision to allow non-filers to purchase cars upto 1,300cc (with a little increase in tax on purchase) will also not help the government in increasing the tax net, as the number of filers in the country will not increase. While this step may have been taken to strengthen the automobile sector which has been struggling for a while, encouraging non-filers will only mean less people brought out to the tax net. Meanwhile, though the corporate sector and traders will surely benefit from the tax reduction and incentives, with inflation on the rise along with price hikes, the purchasing power of the masses will not increase, ultimately resulting in low spending and declining savings. 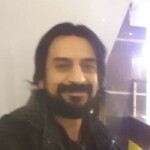 Umar pointed out during his mini-budget speech in the National Assembly that Pakistan is ranked quite low when it comes to savings, but he should have also taken a thorough look into the factors standing in the way of increasing the ratio of savings in Pakistan. It is possible that the current measures lead to no increase in domestic savings, which is why the government needs to provide equal economic opportunities to the working and lower middle classes so wealth keeps moving within the economy and the masses also benefit from this. However, when it comes to serving the masses, the PTI government seems miserably clueless. All it has to offer in lieu of a vision is the corruption witch-hunt and blaming the opposition for the current financial crisis. It is also not possible to generate economic activities or bring investment by merely announcing short-term relief for the business sector. Announcing a loan scheme and encouraging loans for SMEs are positive steps, but the question arises of where the capital for this will come from and how the SMEs will find their footing in the presence of low-priced products readily available in markets from China and other neighbouring states. After all, the Grameen Bank model successfully implemented by Professor Muhammad Yunus in Bangladesh is a thing of the past and met success before the spread of globalisation and the technological revolution. Thus, the PTI government needs some solid plans to get out of this crisis and unfortunately, we have not seen them yet. On the other hand, presenting the third finance bill within six months of coming to power means the government remains unclear about its economic agenda and is dealing with issues on an experimental basis rather than via concrete planning. You cannot win the confidence of investors by presenting financial amendment bills time and again, as it only indicates the ruling party itself is not sure of the direction to take for the future. This mini-budget can also be considered a counter narrative by the PTI government against the Pakistan Muslim League-Nawaz (PML-N), whose vote bank relies heavily on small traders and the business community. This is what it seems to be about at the very least, with the finance minister’s speech also reflecting this as he continuously tried to address the traders and the SMEs. For the sake of optics and gaining political space among a rival community, this mini-budget can be termed a good move. But for the economy – which is bleeding – and the dwindling foreign reserves, the budget has nothing to offer. Time and again the masses are told to hold on as “Pakistan is facing a hard time”, but this seems nothing more than an old and trusted slogan to divert their attention, as they are left out of any relief programs. It would have been much better had Umar offered a bit of relief to the masses by announcing an immediate decrease in the price of medicines, lowering the prices of utilities like gas and electricity, and a cut on sales tax, which is actually the main source of income for the government in the absence of a solid tax collection system, and yet at the same time remains a major cause of price hikes and the despairing purchasing power of ordinary citizens. It appears that PTI is still not ready to learn the lessons from its mistakes and only wants to offer short-term solutions to somehow silence its critics for the time being. The mini-budget, which lacks a solid execution plan or a vision to revive the economy and instead focuses on short-term incentives, will only buy the PTI some time. To address the real issues at hand, PTI will need to come out of the shackles of offering temporary solutions for the sake of optics. care from a Harley Street cardio vascular specialist. Wonders of Punjabi politicians will never cease. Ooops! Forgot! There is a Mini Punjab, in Manchester? East London?South London? So Ishaq Dar should feel at home. His provincials are there to support him.